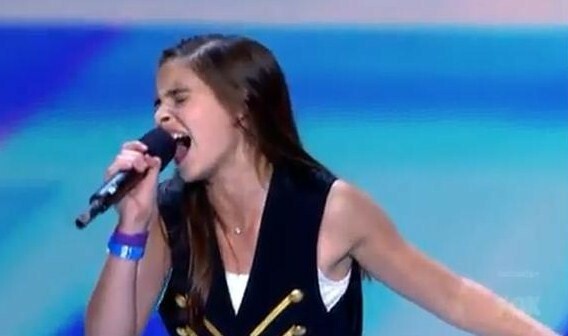 13-year-old Carly Rose Sonenclar got a standing ovation from the entire panel of judges and audiences for her performance on Thursday’s X Factor. The sultry rendition earned Sonenclar the very first standing ovation from all four judges this season. And Simon Cowell found himself in utter disbelief. Needless to say, the judges unanimously voted Sonenclar through, with Cowell saying she earned “4,833″ “yes” answers from everyone in the arena. Previous: Facebook is building a search engine to take on Google?